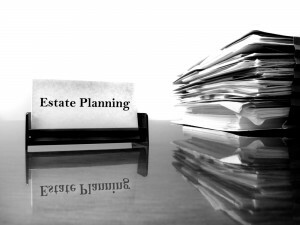 Estate planning is a demonstration of personal values. As humans we have the unique ability to conceive and do the right thing like writing down a plan and matching our deeds to it. Quite apart from the real world penalty, estate plans can promote integrity by incentivizing positive activities and beneficiaries or by philanthropic gifts. You need to carefully consider what you want in your own plan as well as the legacy you want to leave behind for your loved ones. A completed estate plan aims to accomplish both goals at the same time, and may include various strategies and elements to help you do this. As C. S. Lewis expressed it, it is less about only doing what is required or what one can get away with legally. Integrity is about doing the right thing even when no one is watching. Estate plans are strategies which set in motion behaviors which, in the best view, show a pattern of values by which one wants to live and be remembered.